And for as long as I can remember we’ve been tying overall success to success at the touch-point level by asking (almost) the same questions as with regard to the overall metric at the specific touch-point. Be it at the point-of-sale (e.g. (web)shop or restaurant) or point of service interaction (e.g. contact center, online service channel etc). The most advanced practices probably involve some kind of evaluation at the point of consumption through (mobile) apps and the like. But they are what they are: touch-point-evaluations, trying to tie interaction or exchange-satisfaction (or nps if you will) to overall satisfaction. I personally have been (and am) trying to get from the touch-point to the (Customer) process-level, to the job they are trying to get done and the outcomes they desire. Unfortunately with unsatisfactory levels of success. Mostly because too many touch-points on the Customers journey are not within our sight and control or (and this happens a lot) we do not capture the data on internal processes and touch-points to a level that one would want. The 360-degree Customer view is a fallacy in most companies. I believe that, in this crowded marketplace where your service is easily compared to that of your competitor and that of every other company for that matter, this practice does not cut it anymore. It probably never did, but it was sufficient enough to produce insights and results that kept improving incrementally. On the other hand I see many Customer Experience people struggle to get an equal share of voice with the Sales & Marketing teams at the annual budgeting-table. That’s most likely a sign of too few tangible results too. The current practice doesn’t cut it anymore because we need a far better understanding of what Customers really want and value to understand what it takes to have them come back or recommend us to their friends. We do not (only) need to understand how they value our touch-points or the journeys we’ve designed for them. We need to understand how they evaluate us in relation to their jobs to be done, their desired outcomes, before, during and after, purchase, interaction, journey, consumption of our core-offering and beyond. And we need new methodologies, e.g. rooted in neuro-science, advanced analytics, artificial intelligence and behavioral economic research to get to the level of understanding needed. We need facts, not Customer assumptions ruled by bias, aka biassumptions. 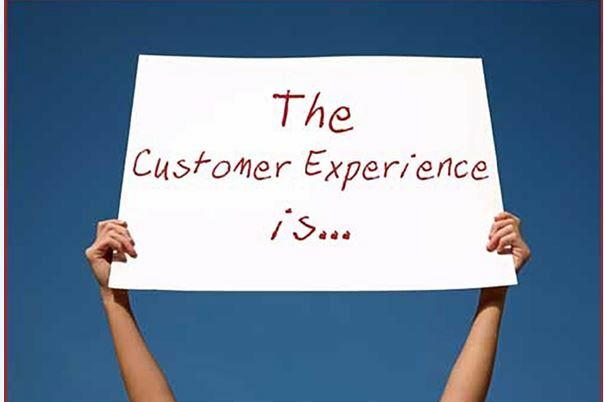 I’ve been reading some papers on the topic of Customer Value and measuring Customer Experience over the past few days, and I’m sure it won’t be the last ones. Both are very much interlinked if you ask me. Unfortunately I haven’t found them linked in a solid measurement framework yet. Maybe I’ll make some steps over the next couple of weeks when the mind has some time of work over Christmas & Sylvester. Feel free to pitch in, recommend other papers, publications, blogpost etc that can help me close the loop on this one. Great question! I have been wondering about this myself and have started to look at the problem for my work. I too had been measuring Customer Satisfaction for years, without really understanding what it meant or how I could actively use it to steer the satisfaction. I started wondering if satisfaction could be predicted and how many variables (of the 20-30 we measure) where really important. For the City of Amsterdam we have developed a Customer Satisfaction Prediction model (the model was made for us by VODW). This model gives me the opportunity to actively steer those elements of our service which has the most effect on the customer value. We found that 1 or 2 elements were responsible for 70-80% of the overall satisfaction (and the elements for the other 20-30% we could not invluence). We developed this model for the channels phone, online, service points and social media. We did the first work and models in 2011 and have been measuring the right elements for almost 4 years now, and we can still predict the overall satisfaction per channel very accurately. I do not need to ask our customers for their satisfaction, because with 2 – 3 other questions, I can predict their satisfaction. The next steps for me is to understand the drivers of the main elements which drive the satisfaction (1 or 2 elements are responsible for 70-80% of the overall satisfaction, but I want to know what drives these 1-2 elements). For example, this could mean linking employee satisfaction to the customer satisfaction regarding the employee (2 different views on the same person). All of the above still only regards the touch points with the customer (for service in our case, because we do not sell anything). I think we need to make the same prediction models for customer satisfaction for our service processes and our products. Contact, process and product together amount to the total satisfaction of the customer for the delivered service (I think). This means a lot more research to find the main elements which drive the customer satisfaction on process and product. We hope to start this research in Q1 of next year. I believe when we have done this (models for contact, process and product) we will see a relation between the three, or at least interdependencies. I hope that will be the connecting framework you are also looking for. If you like I could share our prediction models for the 4 channels. I would enjoy explaining what we did and talk about what still needs to be done to come to an overall framework. Great blog. Since a few months I have completely abandoned the NPS kind of thinking myself and are also working on a “framework” how to integrate customer jobs in an operational model. I am not there yet either but getting closer and closer. What helped me a lot is combining another passion with my passion for customers : Praxeology (austrian economics) a good book is Human Action by Mises (PDFs are available for free) or just google the term. The book will give a very good understanding in why people do the (purposeful) things they do. I would recommend Value Proposition Design for you to read under the Christmas tree. It’s the latest book by Alexander Osterwalder and it zooms in on the business model canvas cells Value Proposition and Customer Segments. It’s all about achieving fit between your value proposition and your customer. You achieve fit when your value map meets your customer profile: when your products and services produce pain relievers and gain creators that match one or more of the jobs, pains and gains that are important to your customer. It’s important to identify that fit in the design phase. Go out and ask your customer! If you succeed in creating a value proposition that fits the needs of your customer, you will see it in the financial results, the metrics that really matter. I’ve read the book already. All in all I think it’s a good book for starters in the space of developing value propositions. Unfortunately it is also fundamentally flawed when it comes to the “Value” part, or at least it’s approach cuts some corners that I would never cut. I’ll have to explain in another blogpost why I say this. More importantly this book is all about the design phase, not so much about how you adjust when things don’t work out (financially ao) the way you would like when in operation. And also unfortunately this is the case for most companies. To your last remark: it’s the sole focus on financial metrics that played a large role in the collapse of the financial system, back in 2008. I would not go there again. Thx for your read and comment! (I love the snow effect by the way. It is an effect and not my pc playing up, isn’t it?). I can only help you with regards to B2B. We encourage clients to see each customer as an individual, each one coping with different needs, pressures and politics. Howevever, on larger surveys where there are more than 100 responses from customers that can be thought of as being very similar to each other, we put the response data through a neural network program to find out which of the 60 or so question areas have the greatest effect on the overall satisfaction question. There is a chapter on how we work this in the sample report (http://infoquestcrm.co.uk/sample-customer-satisfaction-survey-report/) – chapter 7. -Most B2B organisations don’t have 100s of customers that are “the same”. -Most B2B organisations have different (negotiated) costs and pricing structures for different customers and the analysis doesn’t take profitability into account (see http://infoquestcrm.co.uk/your-customers ). Good luck with it Wim.